Nearly 14 percent of the American population carries over $1.4 trillion in student loan debt, which rises rapidly every second. This debt alone matches nearly 10 percent of the national debt of the country, and which is tied intricately to student loan debt. Many Americans are paying off more than one student loan, having both undergraduate and graduate loans, which is leading to many of them falling behind in their payments. The segment with the most student loan debt? Generation X is the second-to-largest living and working generation in the United States, and members of it still struggle to repay student loans. Why? Not necessarily because of high interest rates or not choosing the right loan option for their circumstances. Instead, it’s because many do not know enough about the options they have for repayment. Why does this matter to employers? More than ever in today’s workplace, employees want to be supported and encouraged. They also want to be educated. Here are some ways employers can help their employees learn about repaying loans. While no employer is under obligation to offer either tuition reimbursement or even loan repayment education, employers typically offer financial counseling during open enrollment. This time of year is perfect for offering supplemental education regarding student loans and the importance of repaying them in a timely manner. Human resources managers can provide much of this counseling themselves, as most student loans are issued by Federal Student Aid. This branch of the United States Department of Education manages provides most undergraduate and graduate student loans. The most common are the Direct Subsidized and Direct Unsubsidized Loans. Helping employees to choose the right student loan for them will help them with repayment in the future. Many students over borrow loan amounts, either purposefully or accidentally. In the case of accidentally over borrowing student loan monies, few borrowers realize until it’s too late that they can return some or all of a loan disbursement. No matter the amount of student loans disbursed to one of your employees, Federal Student Aid offers a host of repayment plans that meet the unique needs of borrowers. There are now eight different repayment plans available, including the standard plan. The program provides for the repayment of a student loan by the employing agency up to $10,000 per calendar year, topping out at $60,000 per eligible employee. If your agency has the ability to offer this plan to its employees, now is the time to develop your plan. If you can’t offer this option to your employees, assist them by offering information on the available repayment plans as well as alternatives such as direct student loan consolidation. This option is perfect for your employee who has quite a few loans and needs to streamline them into one payment. However, there are a few things to keep in mind when choosing consolidation, such as increased interest percentage and time limits for the process. Student employees can also apply for the deferment or forbearance of their loans. If you employ a number of veterans of military service, point them in the direction of the Service members Civil Relief Act. This act helps cap the amount of interest a service member pays on certain loans. The National Call to Service Program can help service members with repaying their loans, depending on their eligibility. At the end of the day, helping your employees learn about student loans and how best to repay them is about empowering them. 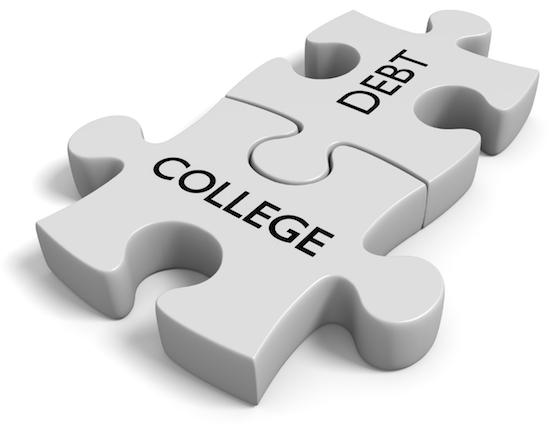 There are so many student loan options and repayment plans, it would take a manager years to cover them all. Instead, show your employees they matter by giving them the information they need to choose the loans and repayment plans that will best serve them, and by extension, you. © 2019 H. E. James, MBA. All rights reserved. This article may not be reproduced without express written consent from H. E. James, MBA.